Where: Outside the John Percival Building, Cardiff University for a picnic (weather permitting)! Special Feature: No homework month! – Just come along and discuss some pretty pictures with us, no need to read beforehand. Beautiful! Kongelige Bibliotek, Gl. kgl. S. 1633 4º, Folio 55v. This item is in the public domain because of its age. 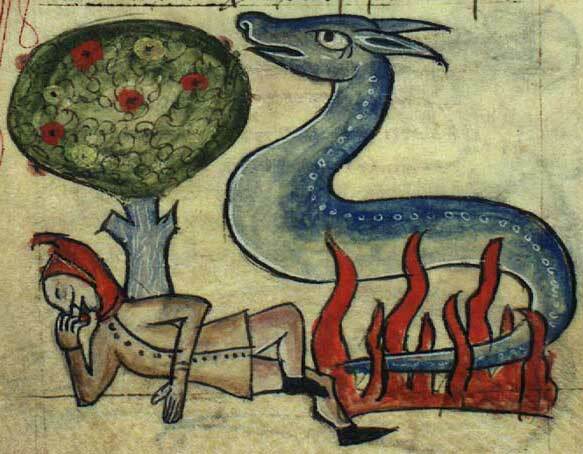 Next Wednesday the 24th we will be meeting at 3-o’clock to discuss the Bestiary. All are welcome. 1st – ‘De Naturalis Historia’ (Natural History) by Pliny the Elder written in Latin. 2nd -4th – ‘Physiologus’ (the Physiologus) written in Greek and soon translated into several European languages. 6th/7th – ‘Etymologiae’ (the Etymoligies) of Isidore of Seville written in Latin. 12th – ‘De natura rerum’ (The Nature of Things) by Alexander Neckham, written in Latin. 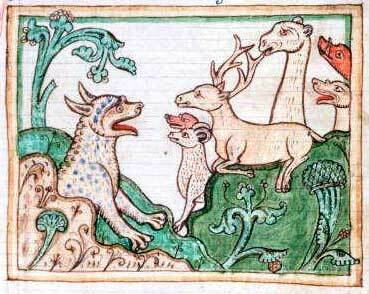 12th – The bestiary tradition reaches Britain, and for the next few centuries it provides a single homogeneous body of animal-lore, until diffused by the development of the scientific tradition of the early modern naturalists in the sixteenth century. The bestiary tradition accomplished many things: (i) It created a single body of lore which most educated people could draw on for knowledge of animals, (ii) it created a shared language and set of ideas by which people could talk about animals across Europe, and (iii) it allowed people to talk about animals without the subject seeming trivial. However, the creation of this tradition had some serious drawbacks from a modern point of view: (i) The creation of the shared body of law and set of ideas meant that people would just repeat each other without reporting new or local information, (ii) the high popularity of the bestiary tradition meant that unique local traditions about animals died and (iii) it encouraged the spread of erroneous notions about animals. 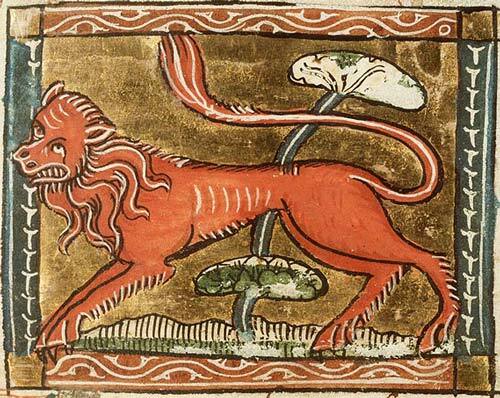 On the 24th we will be focusing especially on some pictures from the bestiaries. 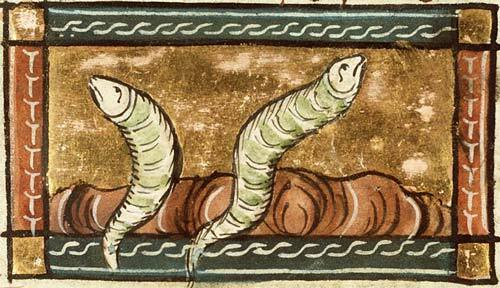 Often bestiaries were written with lavish pictures which were probably designed to be shared. Since several of the species were invented and most would have been exotic to a British audience, these pictures are the only way some of the species would ever have been seen. I have previously examined (Raye, 2013) the prescriptive and unoriginal style of drawing animals in early Insular artwork, and similar statements could be made about the drawing style in later artwork. 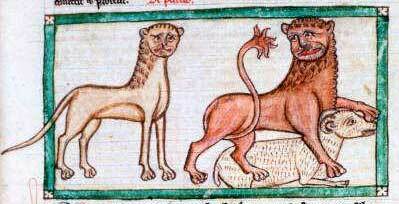 On the day we will be able to look at several different Bestiaries, but the pictures in each are likely to be similar, as these were copied from manuscript to manuscript, sometimes more carefully than the text! 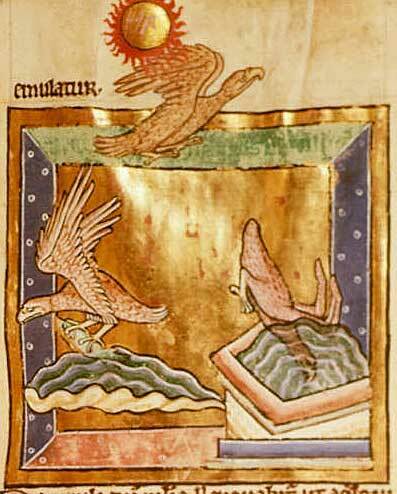 Eagle from British Library Royal MS 12 C. xix, Folio 38r. What is the eagle eating in the picture? Koninklijke Bibliotheek, KB, KA 16, Folio 61r. This picture is in the public domain because of its age. British Library, Harley MS 3244, Folio 37r. This item is in the public domain because of its age. British Library, Harley MS 3244, Folio 37r. This picture is in the public domain because of its age. 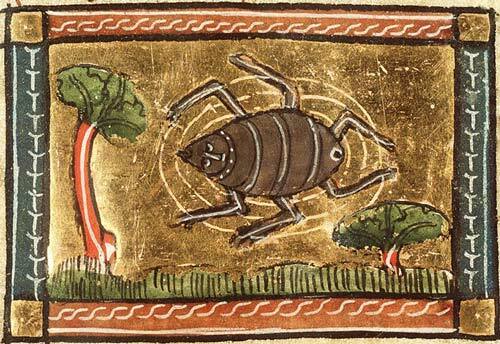 How did this species come to take up three entries in the bestiary? Kongelige Bibliotek, Gl. kgl. S. 1633 4º, Folio 55v. This item is in the public domain because of its age. This item is in the public domain because of its age. Is the snake a friendly creature? Why is that spider in the air? Koninklijke Bibliotheek, KB, KA 16, Folio 136r. This item is in the public domain because of its age. Do these looks like worms to you? If you liked this blog post why not contact me on Twitter @NaturalHistoryL, or follow Natural History on Facebook to get wildlife history highlights without any of the boring bits.